Visited one of our local dams today (Surry Mountain Dam). 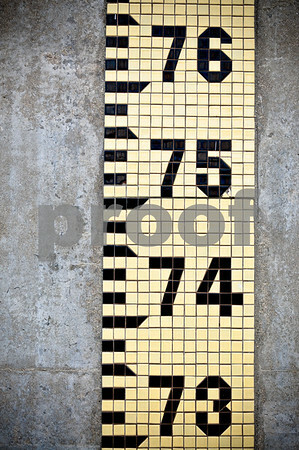 Broke the law and scrambled down an embankment to get a shot of the depth gauge on the gate house. Very cool. How many laws did you break? nice shot. and laws are for the weak! Glad you climbed down the embankment -- this is a wonderful shot! Great photo...It's important to break the rules once in a while.